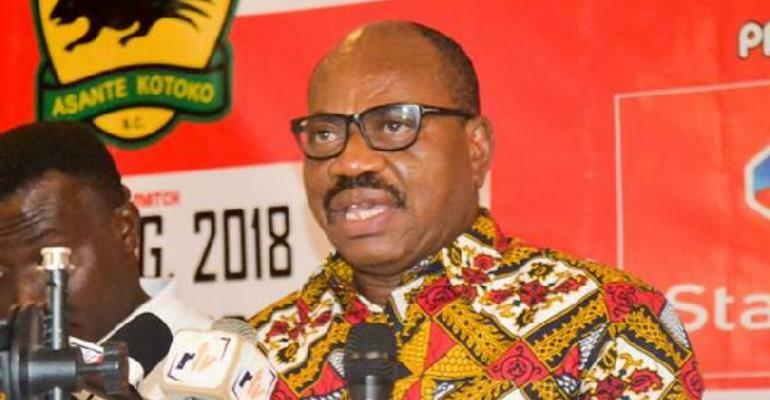 George Amoako, Chief Executive Officer of Asante Kotoko has charged the team to win the upcoming Ghana Football Association novelty tournament which starts this weekend. Kotoko have had adequate preparation for the competition after playing in the CAF Confederation Cup. The Porcupine Warriors were eliminated from the competition in the group phase after suffering 2:1 defeat to Zesco United in their final group game in Ndola. ''The target for you is to win the competition which begins on Sunday,'' Amoako told the team at the club's Adako Jachie training ground. Kotoko open their campaign against Aduana Stars at the Baba Yara Stadium.